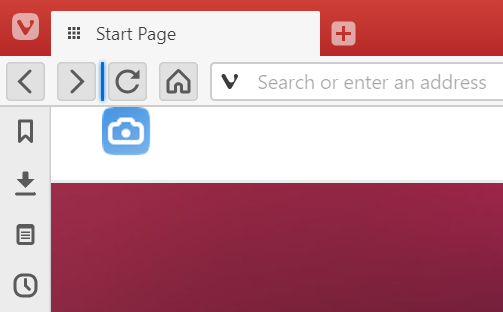 Vivaldi is all about customization. Editing toolbars is one of the customization tools that allow you to tailor the browser to your needs. To move buttons on the Toolbars hold down the Shift key and drag the button to the new location. In addition to changing the order of buttons on the same Toolbar, you can also move buttons between the Address Bar and Status Bar. A blue line will appear when the button can be dropped. To hide a button from a Toolbar, right click on it > Customize > Remove from Toolbar. To reset the changes, right click on a button > Customize > Reset Toolbar To Default. Alternatively, go to Settings > Appearance > Window Appearance > Toolbar customizations and click on Reset Navigation Toolbar / Reset Status Toolbar.